Pormpur Paanthu’s Playgroup kids have developed a song book called ‘Breathing, Blowing, Coughing Song and Washing Hands Songbook. Pormpur Paanthu Early Childhood and Playgroup Director Erin Kendall, the Team, parents and children attending Playgroup provided a fun environment for the pictures in the book and the lyrics for the songs. 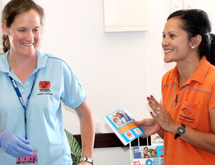 The book was developed as part of Apunipima’s Photovoice project and Healthy Kids Program in partnership with Pormpur Paanthu Aboriginal Corporation. 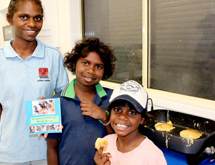 Vegetable pancakes were on the menu cooked and served by young members of the Outside School and Vacation Care Program that runs between 2.00pm and 5.00pm Monday to Thursdays; and all day during school holidays. 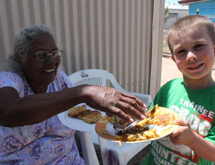 On the 25 September during the Pormpuraaw Youth Summit PormpurPaanthu Aboriginal Corporation reopened its PormpurKuukyikngathar: Culture Knowledge Learning Centre (Meeting Place). 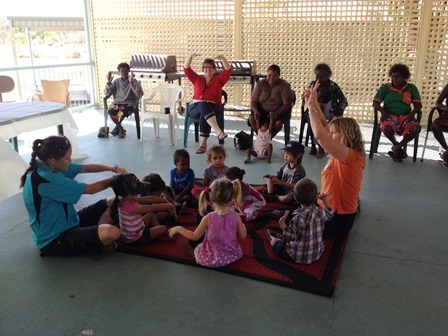 Early Childhood Director, and PlayGroupCoordinator,Erin Kendall with the children and Fiona Millard from Apunipima launched the Pormpuraaw cook book. Throughout the year the Outside Hours and Vacation Care kids had been making the recipes now recorded in their Cook Book. 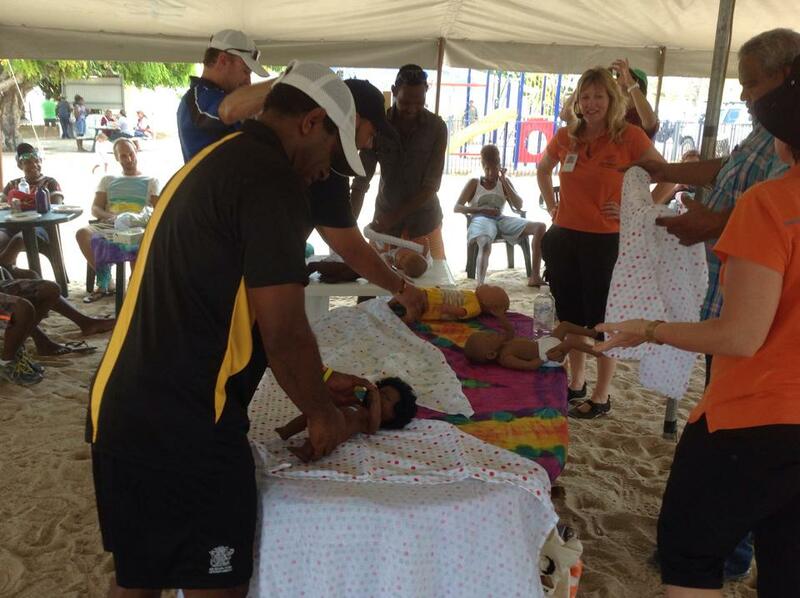 As part of the very successful Pormpuraaw Youth Summit hosted by PormpurPaanthu this week, Apunipima’s Maternal Child Health Team Lisa Smith and Johanna Neville facilitated a yarning session, on the effects of foetal alcohol syndrome, shaken baby syndrome and safe sleeping. The yarning session was delivered from a strengths based approach yarning about all of the positives a woman and family need to do to create a healthy life from the womb to the early years. There were many ideas on how to create a healthy life shared by all participants. The session ended with a boys and men’s safe sleep baby wrapping competition and the two lucky winners were confirmed by giving the best answers on why we wrap our bubbas. 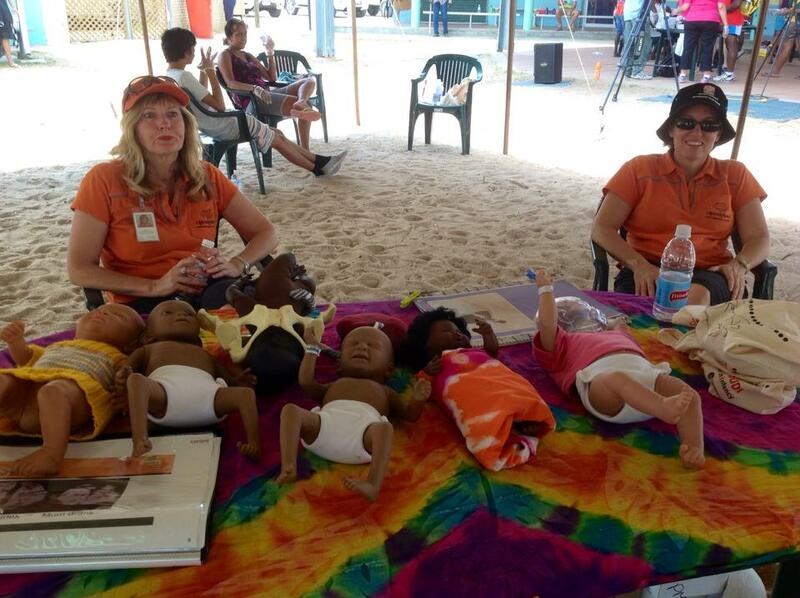 PormpurPaanthu who has the manikins and FASD flip chart plans to facilitate training to young men and women so they can share the information with their peers.